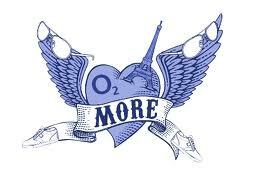 UK mobile operator o2 (Telefonica UK) have hit onto something with their “o2 more” campaign. Essentially a discount based offer scheme aimed at helping o2 customers save on items such as high street stores, coffee shops…you get the picture. As o2 already have you as a customer they can utilise an existing database that can then profile each subscriber in more detail following the opt in questionnaire and then ensure that discounts are relevant to that person. Why no other operators are doing this is a bit of a mystery, they already have that valuable connection with customers just waiting to be tapped into. With a 23% subscription rate o2 have found a very receptive audience with their existing customers and a television advertising campaign that must have hit home in these austere times. Apparently in one campaign, o2 sent out around 300 thousand m-coupons to users who had opted in for 50% off a Starbucks coffee. Of these 14% redeemed and 93% said the remembered the campaign/offer. o2 claim that the section at the opt in stage that allows for further profiling via a short questionnaire has boosted the response rate of their offers. I would assume due to the relevance of offers sent based on this data…or perhaps o2’s exceptionally high bills means any saving counts! I have signed up for priority moments and have not found the offers particularly appealing, and do not remember any profiling at the opt in stage at all. I therefore wonder if this slightly different Groupon style campaign will have had the same impact, reach and success as the “more” campaign when figures are eventually released. This is no doubt the future for marketeers, coupled with augmented reality and social networks, is on mobile devices. The ability to communicate with users instantly and anywhere has so much potential it is staggering.